Back in 2010 when I was researching costs involved with starting an event organization, I had another idea that involved technology. I had noticed years ago, while racing, that there didn’t seem to be an online platform that could socially connect participants with community fitness events where one could track and get rewarded for accomplishments. So when I launched the Atlanta BeltLine Running Series I decided to create a prototype to test the idea. I took it a step further and applied gamification techniques that involved leaderboards, points and awards. So when participants completed events they earned points that became redeemable for merchandise, for example my participants could print out certificates and walk into WholeFoods for free merchandise. So I thought wouldn’t it be cool to do this at the state level and reward cities for their, for example as participants logged their daily workouts, there accomplishments rolled up to their city team and winning cities could earn prizes such as Fruit Cups that could be used at future community events – now we are working on grant funding as another source. So I started to do some research and came across the National League of Cities which is an organization setup to support all 50 states. I then noticed each state had a Municipal Association that represented and supported every city within their specific state. So of course I reached out to Georgia and Tennessee. I got them both excited and in 2013 we launched Active Georgia and Walk Tennessee. In Tennessee we had about 18 cities participate. 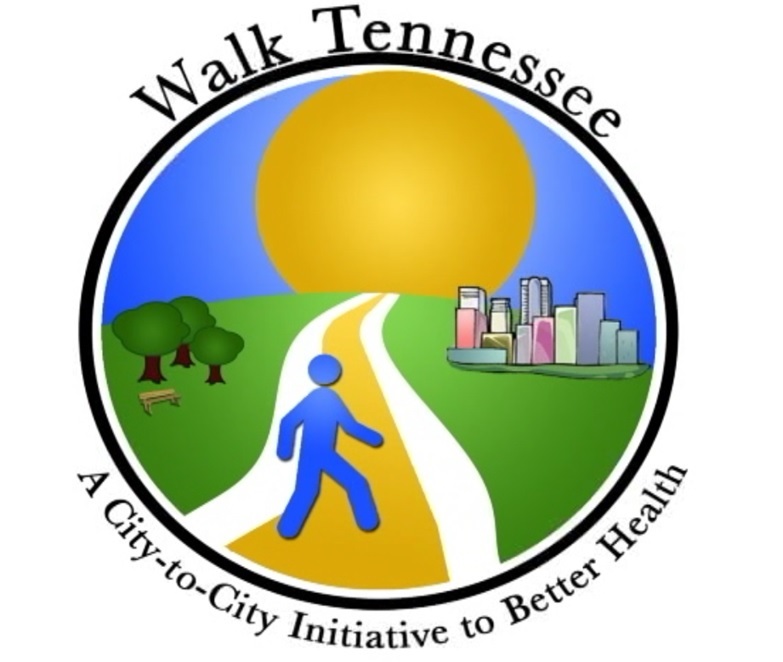 As I was promoting the initiative in Tennessee I met a lot of great city leaders and community advocates – take for example the City of Nolensville, who was the winner of the 2013 Walk Tennessee Challenge, the mayor’s son had an active run club and I mean active. I had a chance to meet up with them and participate in one of their weekday runs – Nolensville is a cool community 24 miles south of Nashville. Scott Alexander is the inspiration behind the run club – or should I say his wife! I asked Scott what his inspiration was with the run club, Scott replied ‘I use to run a lot by myself and I noticed other runners in the community running alone and we had a lot of runners in Nolensville. 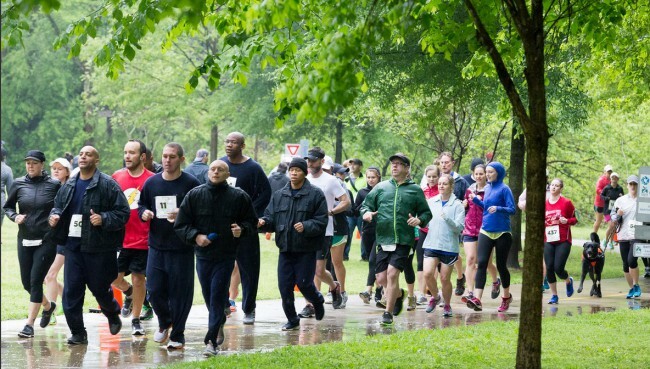 I just wanted to create something to connect us all – so I started the Nolensville Run Club.’ ‘I started the run club 5 years ago and on the first night we had 4 people show up in March of 2010.’ Scott said. ‘Since then we have grown to over 400 runners and we are now a Non-Profit organization.’ Scott went on to say ‘ Our goal is to put together a series of races’. ‘We meet every Wednesday night and we go out for a 3-5 mile run where we typically have 100 or more runners show up.’ ‘Pretty good for a city population of 6500 people’ Scott replied. In fact I thought it was really awesome considering Nolensville was the initial winner of the Walk Tennessee Challenge competing against larger cities in Tennessee. Scott went on to tell me, ‘Our run club is open to anybody and everybody – we have folks of varying speed, skills – runners and walkers.’ ‘We have a Charity 5k that we participate in called Change for Chance 5k which is in the middle of June and we have a couch to 5k program – which is free and also helps us grow the run club, Scott replied. ‘We have a calendar of events that we attend as a group – or try to at least – and we have an annual tradition to run in the marathon in Carmel Indiana – this year we took a group of 80 runners to the event’ Scott replied. ‘Its six hours away and we have been doing this event for the past four years. Its special because most runners will attempt their first full or half marathon at this event’ Scott stated. Scott went on to tell me about the goals with the club, ‘Our goal for the run club in the next year is to create three races: one 5k, a 10 miler, or half-marathon on veterans day as there is a big parade in town that we would like to be a part of and all these events will take place in Nolensville’ replied Scott. So I went on to ask Scott what got him started with running. ‘I’ve been running for 7 years, I got started because at work one day I was 50lbs overweight – a co-worker challenged me to run a half marathon so we began training together. At ¾ mile in I had to stop and I couldn’t run a mile – I wanted to give up – it was frustrating but I didn’t. My first official event was a half-marathon – I did one 5k leading up to it to help me get use to the experience of the events’ Scott stated. ‘The thrill of accomplishing is what got me hooked. So I did my first full marathon 5 years ago, qualified for Boston and ran in it this year. The half-marathon is my sweet spot because with marathons I reach that point where I always ask myself – why am I doing this – usually at mile 20 or 21’ Scott replied. So I asked Scott – what would he tell someone new to the sport. Scott replied ‘Be consistent – make time for yourself, give yourself time to accomplish and don’t make excuses and most importantly be patient’. Scott went on to say, ‘Lots of time I would get home from work and the couch was calling – its soo hard to pass up but I didn’t allow that temptation to take advantage of me. The socializing and making new friends is amazing and so rewarding. My wife runs as well and she is just as active having completed 5 marathons herself”, Scott stated. Thank you Scott for sharing your story as I hope to get back up to Nolensville soon to partake in another run club or perhaps join you at a future event. Now that the Atlanta BeltLine Northside 5k is over, full of drama with rain and lightning, I can refocus my efforts on sharing stories of accomplishments and I’ve got some good ones coming. Before I share, this 5k was the most memorable over the course of the last 4 years, imagine being responsible for over 300 runners, lots of police and fire personnel and a council member as to whether or not to cancel 30 minutes before start time. At one point it was a no-win situation as we had about 300 participants show up in the down-pour. It made me realize how amazing and inspiring folks are to show up in that kind of weather. So I prayed very hard that the rain would pass so we could start on time and what would you know.. it did, not that I have that kind of power, but 10 minutes before the official start of the race everything stopped and off we went – of course the park got damaged from all the foot traffic, but the good thing is it can be repaired and made even better. So now that I have recovered check out my next story. Have you ever wondered why someone started running or how disciplined people are with their workouts? Well take for example running for 36+ years straight and logging those miles every single day – seems crazy to me. I run, but I enjoy days off and I don’t always log my miles – so now a big part of me wished I did so I could compare it to some historical fact like the distance of my running has equaled one-time around the world – that would be a real cool accomplishment to talk about! Well I had a chance to meet up with Scott Ludwig who I started to research from a previous blog on Charlie who is a member of the Darkside Running Club as I was hoping to learn from Scott first hand why he started the run club, well it turned out to be quite a treat to chat with him. I asked Scott what got him running, Scott stated ‘In grad school -1978- two professors bet me that I couldn’t run 13 miles so begrudgingly I started to run. My professors weren’t serious, they were both recreational runners, so I thought why not.’ ‘So I started running and I haven’t looked back since the last day I didn’t run –-the 29th of November 1978! I have been running ever since’, Scott replied. ‘I’ve run in over 200 marathons and logged 138k+ miles in my career and I have tracked every single workout in a journal.’ Scott replied. Did you know that is the equivalent of running around the world more than five times – wow, amazing! Scott stated ‘My most memorable event is the Boston Marathon – having run in 12 – then a close second is the Jacksonville Marathon where I first qualified for Boston; I never thought that would happen and my last Boston Marathon was in 2010,’ Scott stated. ‘I have also run in every Peachtree Road Race since 1979 and my goal is to run in 50 straight’, Scott replied. Scott went on to tell me, ‘My third favorite marathon is the (former) Vulcan Marathon in Birmingham, where I won my first marathon award in 1994 with a finishing time of 3:08. My nine-year old son Josh rode his bicycle next to me every step of the way…. and I pushed him over the mountain twice’ Scott replied. 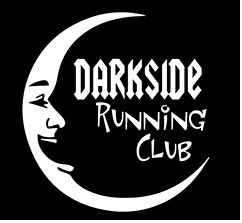 So I went on to ask Scott what the inspiration was behind his Run Club, Scott stated ‘I joined the Peachtree City Run Club and was the president – I wanted to promote competitive racing so I decided to form my own club – the Darkside Running Club.’ ‘In 2001 we started with six members and soon grew to 40.’ ‘We now have 400 members from several states with most being from Georgia and some other states like Alabama, Tennessee, Florida, both Carolina’s, Ohio and a few in California. We also have members in England. 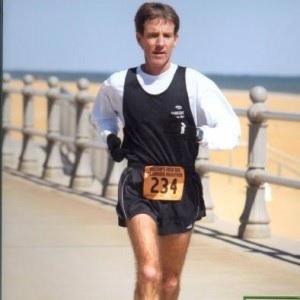 We have some prominent runners in the club such as Ted Corbett’s son Gary who is our 401st member – his father was a pioneer of ultramarathon running in the United States. We also have a former editor from Ultra Endurance as a member’, Scott replied. It was the first Saturday in May. The weather couldn’t have been more perfect: Sunny, gentle breeze and temperatures hovering around 70 degrees. Forty or so runners had gathered at the beautiful Bear Creek Farm in Moreland, Georgia to run for eight hours around a 1.02-mile asphalt loop amongst the residents, most notably the magnificent horses who were more than willing to run side-by-side with the runners. This was the 13th year of the event and the first time I was able to run in it because it was also the first time it was being directed by someone other then myself…. Thank you Scott for sharing you story — You are such an accomplished runner and very much an inspiration. I’ll be certain to order one of your books from Amazon! You are a true leader for the next generation of runners!